7. She walked the valleys, the meadows and gardens. She ate fruit and seed with the creatures. She drew close in love to Woman and Man, the perfect mirrors of Her Beauty. She mingled Her breath and being with theirs in play, in work, in contemplation, and in sexual union. They knew no division, only the rhythm of the seasons and their passions which were good, delightful in surprises and blessed without measure. 8. The human community, with the many creatures, gathered for festivals of love, harvest feasts, and days of many offerings in which the young, the weak, and the old were honored and celebrated. 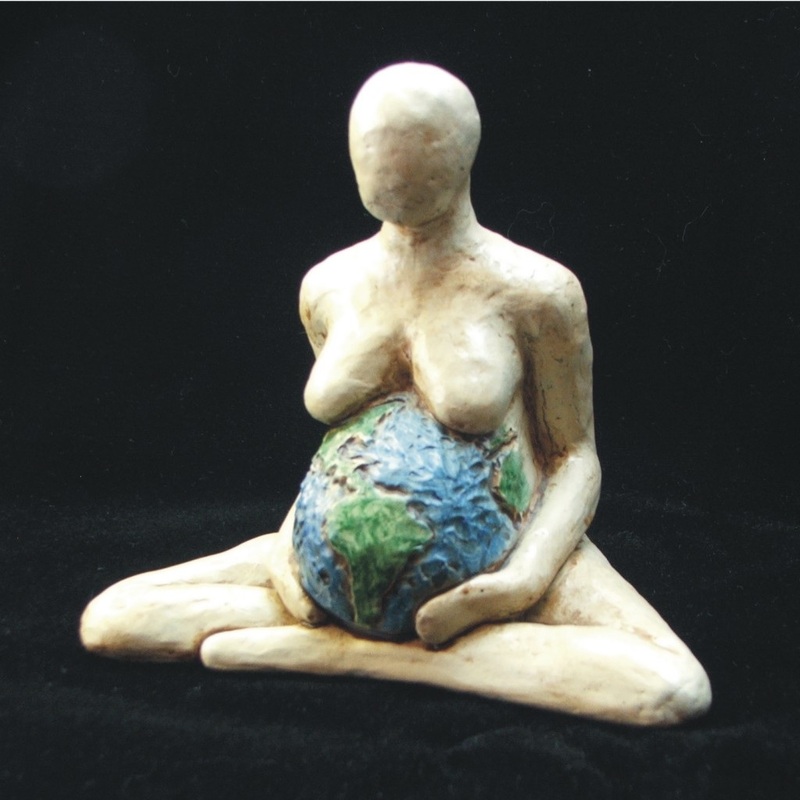 All received the Sharing Cup, symbol of the Richness of Her Womb. Life transitions were blessed and the Tree She planted gifted them with the grace of art and compassion. When they ate of the Fruit of the Tree She planted, each received a little portion of the Imagination that gave birth to the All. 9. Pain, suffering, and death were accepted as temporary transitions and were not resisted or feared. The Cycles of Life were like the seasons, Woman and Man, Woman and Woman, and Man and Man, were friends, partners, and mates, living in innocence and in freedom. Mutual aid guided their every relationship. Understanding the Rhythm of Life, they were not afraid of the many ways of expressing love and union. Everyone lived as gifts of kindness for all. 10. She taught, "Let my blessing be your blessing. Let my way be your way. Let my Imagination be the spark that forever ignites the everyday holy in you. May that spark become the sacred fire of wisdom in compassion. May the Tree be a gift that you share with all who journey through the fields, forests, meadows, and gardens of your life. And always remember, let the canopy of these branches and leaves cover and open your hearths and your hearts, then you will be a Community of Friends living in peace." Imagination fed Paradise with an endless arc of possibilities. Beauty flourished as life itself, in endless quest for delightful expression. The Solution: We must enter upon the Path of Remembrance and recreate our lives and institutions according to the requirements of Compassion and Justice. frees you from the need to manipulate anyone!